Financial Intelligence Centre (FIC) Director-General Mary Tshuma has officially presented the damning 2017 Trends Report on Money Laundering/ Terrorist Financing to President Edgar Lungu. And President Lungu says it is unfair for some NGOs and opposition parties to pressure him to take action on general allegations that have no names and no direct and proven cases. According to a statement released by State House spokesperson Amos Chanda, Tshuma handed over the report at 11:00 hours Tuesday after requesting audience with the Head of State the previous day. Chanda stated that President Lungu will leave it to law enforcement agencies to investigate any allegations that may arise from the trends report because it does not mention names of suspects and claims against any individuals and body corporates. 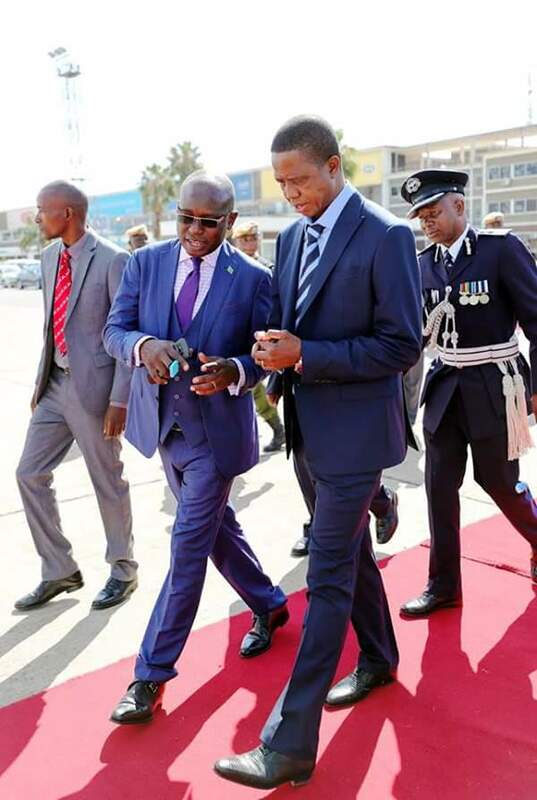 He said President Lungu has assured law enforcement agencies of his full support for the operational autonomy required to attain the highest possible integrity in criminal investigations. His Excellency Mr Edgar Chagwa Lungu, President of the Republic of Zambia has today received the Financial Intelligence Centre (FIC) ‘2017 Trends Report on Money Laundering/ Terrorist Financing’ and assured all law enforcement agencies of his full support for the operational autonomy required to attain the highest possible integrity in criminal investigations. FIC Director-General Mrs Mary Tshuma requested an appointment with the President last evening, Monday 18th June 2018, and was granted audience today, Tuesday, 19th June 2018 at 11:00 hours at State House where she officially presented the report to the Head of State. The President has assured all investigative and law enforcement agencies of his unwavering commitment to the protection of their operational autonomy to ensure that there is full integrity in the investigative processes at every stage. The Head of State has noted that since the report does not mention names of suspects and claims against any individuals and body corporates, he would leave it to law enforcement agencies to investigate any allegations that may arise from the trends report. The President’s perusal of the report shows that it brings out trends in financial transactions and alleged malpractices in a general nature. He therefore expects that the FIC will collaborate with relevant law enforcement agencies tasked with specific responsibilities that touch on the issues raised in the report. For instance, the President notes the suspected offences of tax evasion must be presented to the Zambia Revenue Authority; suspected fraud to the Zambia Police Service; suspected corruption to the Anti-Corruption Commission; suspected money Laundering to the Drug Enforcement Commission and immigration irregularities to the Department of Immigration. Once these agencies have fully investigated these trends and suspicious transactions, they would decide to prosecute or make necessary recommendations to relevant authorities. The President emphasizes that it is unfair for some NGOs and opposition parties to pressure him to take action on general allegations that have no names and no direct and proven cases. In any case, some of the previous reports the FIC presented to the President contained allegations against private citizens and companies who are not directly amenable to his authority. The President does not therefore understand what sort of action he can direct against private entities mentioned in suspicious transactions reports. It is never the responsibility of the Head of State to micro manage criminal investigations against anyone, save for cases where administrative action is required to pave way for smooth investigations in situations where it judged that office bearers would hinder such processes. State House also takes this opportunity to confirm that representatives of civil society organizations on Friday, 15th June 2018, at 14:55 PM, presented the FIC report to State House ahead of today’s presentation from the FIC director general. The report was accompanied by two identical letters, one signed by NGOCC Chairperson Sarah Longwe and another by Actionaid country director Nalucha Nganga Ziba.